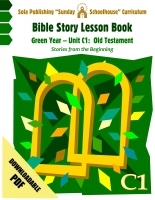 The Sunday Schoolhouse Series Teacher’s Guides are written to go along with its reproducible Bible Story Lesson books. 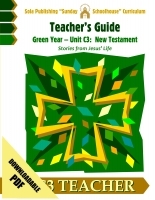 These Guides provide step-by-step instructions for leading class sessions, with ideas for opening ice-breakers and in-class activities. 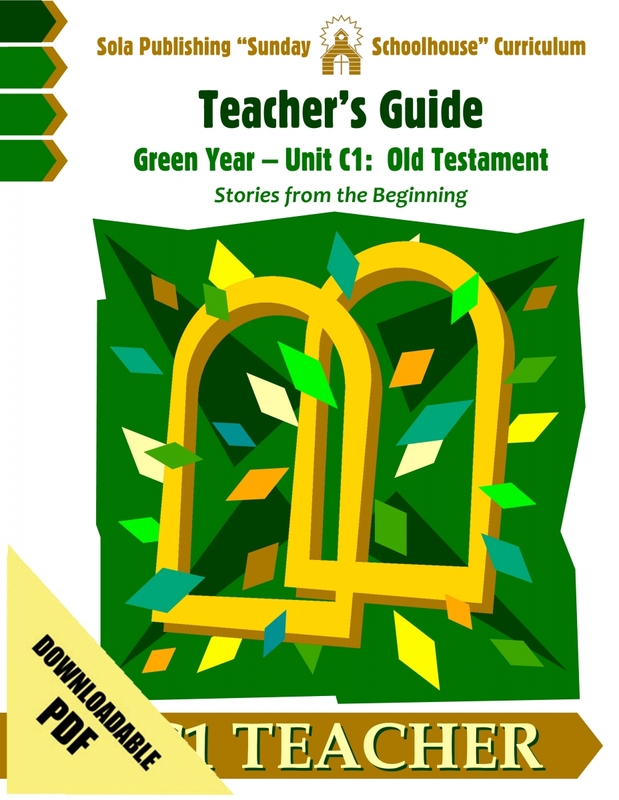 The Teacher's Guides also include a reproducible Bible Study sheet (with maps, timelines, and discussion questions) for older children or intergenerational groups. 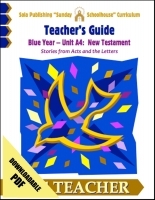 Click HERE to see a sample session from the Teacher's Guide. 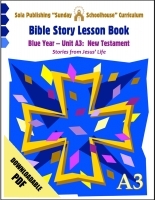 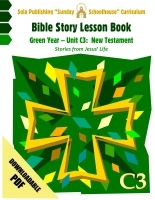 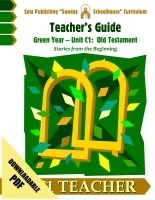 This electronic PDF version C1 Teacher's Guide, subtitled "Stories from the Beginning" covers Bible stories from the first half of the Old Testament, from Genesis through Joshua. 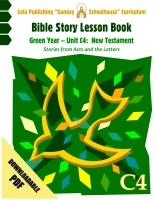 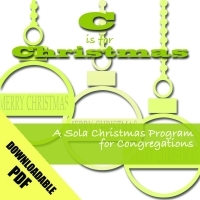 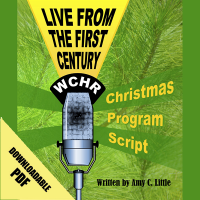 You can purchase the downloadable PDF version of the Lesson Book HERE.